Almost like a puzzle, these pleasing shapes go together to make the perfect rectangle that is Holden. 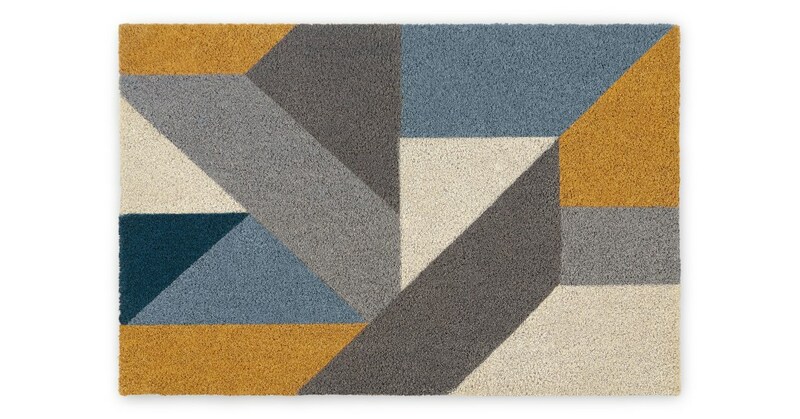 A contemporary doormat waiting to brighten your doorway. Crafted in coir – that’s a tough blend of coconut fibres – simply shake or brush Holden for a speedy clean. Designed in our MADE Studio, Holden’s contrast of colours is an attention-grabbing accent for your doorway. And in an extra large size, there’s no way it’ll go unnoticed. 100% Coir top, backing: 100% PVC. Allow dirt to dry before brushing. Shake or brush to remove dirt. Suitable for indoor and sheltered outdoor use only.